TACUBA, El Salvador , Nov 13 2014 (IPS) - Rural communities and social organisations in El Salvador agree that the lack of specific laws is one of the main hurdles to resolving disputes over water in the country. 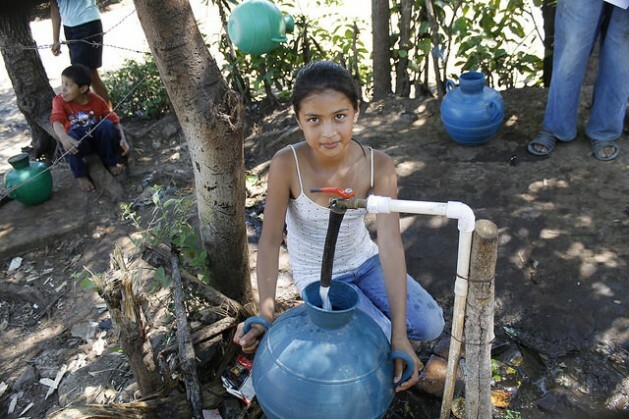 The aim of the constitutional amendment was to make sure that the state gave top priority to the use of water by the population rather than to economic interests, activist Karen Ramírez, a spokesperson for the Water Forum, which groups more than 100 organisations fighting for the right to water, told IPS. The failure to ratify the constitutional amendment came on top of another setback for the advocates of the democratisation of access to water. In Srilanka’s north where there are no rivers there is water shortage for irrigation and sometimes for drinking,washing,bathing,cleaning too for people & animals. Will UN advise the Srilankan government to divert Mahaweli river to north to fill reservoirs as well as construct new reservoirs?.